The benefits of the Ganoderma Lucidum, also known as Reishi Mushroom, has been getting a lot of attention recently, despite that Asian cultures have been using it for thousands of years to promote wellness and longevity. 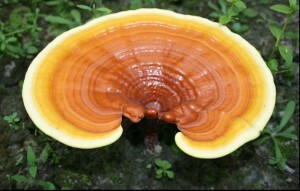 The Japanese name for the Ganoderma Lucidum mushroom is Reishi, and it is regarded as the King of Herbs. There is much literature on the numerous benefits provided by the Reishi mushroom extract such as boosting the immune system, promoting gentle detox, and calming stress and anxiety. Herbalists consider Reishi an adaptogenic herb, which means it promotes homeostasis, aiding the body in adapting to both its external and internal environment, and therefore, can alleviate a variety of imbalances. It can put you in a state of calm. A person with excessive energy (or anxiety from stress) can experience a calming effect without feeling drowsy, while a person feeling fatigued could experience a boost of energy without feeling over stimulated. While Western medicine focuses on the “cure” after the disease has already occurred, Traditional Chinese Medicine (TCM) focuses on disease prevention by sustaining the right balance within the body through proper nutrition, exercise, and meditation. Reishi is an important adaptogenic herb in TCM in helping the body maintain this balance and also restore the balance when one is sick. Drinking coffee or tea infused with Ganoderma Lucidum (reishi mushroom) can be a healthy alternative to drinking regular coffee or tea. 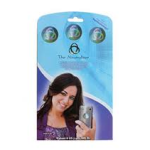 It can help to gently detox and rejuvenate the body and even strengthen the immune system. While Reishi is safe for most people to consume, it is necessary to consult with a licensed physician (preferably experienced in complementary healthcare) if medications (i. e., immunosuppressive drugs) are being consumed or other medical conditions or concerns exist. As with any herbal product, it is important to choose certified organic. 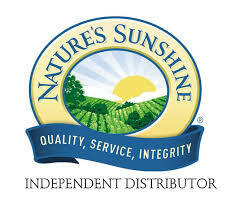 to order tea, coffee, soap, or other products infused with Ganoderma, click here .